American Homeowner Preservation 2015A+ LLC ("AHP") announced that they have temporarily suspended accepting new investments due to an influx of investments as well as the recent purchase of 1,281 new mortgages. The fund recently acquired two large mortgage pools, one consisting of 799 non-performing mortgages from the bankruptcy estate of 3-Star Properties and a second of 477 mortgages from Biltmore Funding, in addition to smaller purchases. In an email sent to investors and supporters, AHP stated that this was more than double the number of mortgages that the company purchased during all of 2016. "We've been focused on resolving the hundreds of recently-acquired mortgages, along with a recent surge of incoming investments," said AHP founder and CEO Jorge Newbery. "We decided it's time to take a breather and maximize the social impact of what we've already bought. We want to give every homeowner the attention they deserve." 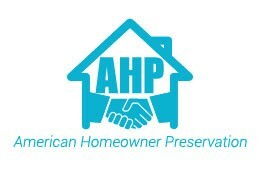 American Homeowner Preservation started in 2008 as a 501(c)(3) nonprofit before transitioning to for-profit. AHP now utilizes Regulation A+ to raise funds from both accredited and non-accredited investors. Investments fuel the purchase of distressed mortgages from lenders including banks and hedge funds. AHP then crafts sustainable solutions to keep families in their homes with favorable terms.